The following are examples of the most recent projects our expert technicians had successfully completed. No garage door problem is too complex for our team to handle. Customer Issue: A broken spring made it very dangerous to try and open the garage door and the customer needed to get their car out as soon as possible. Our Solution: Our team set out as soon as the customer called, and we managed to get to him in under an hour. After disconnecting and removing the broken spring, we checked the door's weight and installed a suitable new torsion spring. A little adjustment and lubrication and the door was good to go. 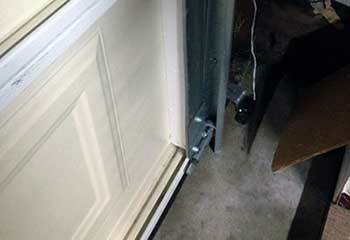 Customer Issue: The customer’s garage door was refusing to close. A sensor problem turned out to be the cause. Our Solution: Our team checked the optic sensors when they inspected the system, and found that the beams weren’t correctly aligned, which kept the door from closing. After cleaning and realigning the sensors, the door opened and closed properly. Our experts also tested the sensors again to make sure their new alignment was stable. Customer Issue: Mr. Bryant backed his car into his door and the impact bent both tracks so the door could not open. 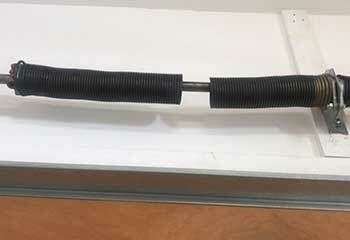 Our Solution: Our technicians removed the door and then replaced both tracks using heavier duty bolts. Once the door was re-installed, we tested all operations to make sure everything was working perfectly according to manufacturer's specifications. Customer Issue: The customer's existing garage door opener was approximately 30 years old and had simply worn out over the years. Our Solution: Our experts replaced the customer's old opener with a modern ultra-quiet Genie MachForce Model 4062 opener. We then tested the unit for operation. She loved the smartphone connectivity and our reasonable price. 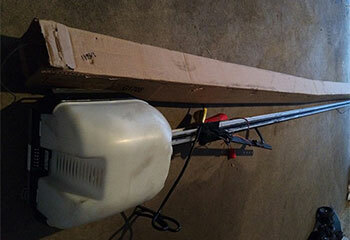 Customer Issue: Mr. Marshall wanted our team to add electric operation to his existing retractable garage door. Our Solution: We took measurements and then installed a new opener above his door opening. Once installed we checked the entire door mechanism for proper operation and then added an extra lock to the door at the customer's request for additional security. Which Garage Door Should I Choose? 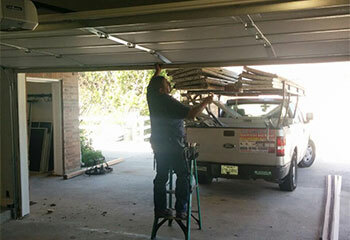 When it comes to repairing garage doors, there's simply no one better than us. We always get to our clients as fast as we can. Our work can stand the test of time. We make a conscious effort to make our services as affordable as we can. Our company has been repairing and installing garage door systems for many years, and over time we've become one of the leading service providers in the entire state. There's no problem too big or too complex for our team to handle. Feel free to browse the rest of our website to learn more about the services we have to offer. Our technician will contact you before arriving. Until then, feel free to browse our website! 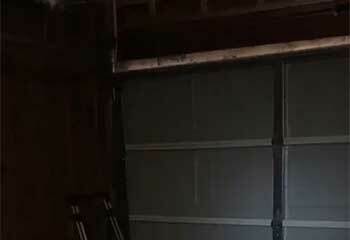 Garage Door Repair Lake Zurich is at your service!